89.1 WEMU's 50th Anniversary celebration continues tonight. A live taping of the news quiz show, 'Wait, Wait...Don't Tell Me!' takes place at Hill Auditorium in Ann Arbor. 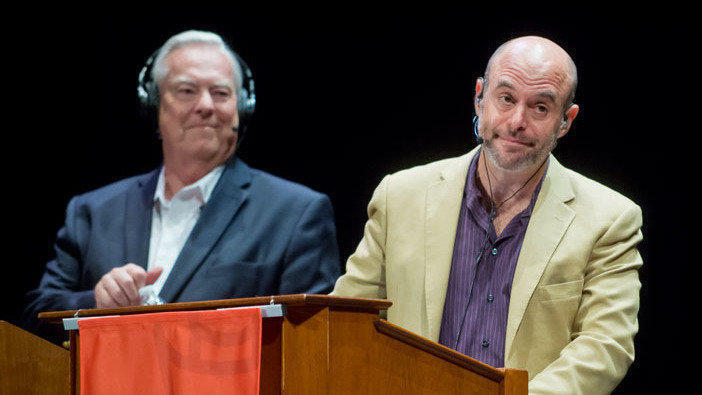 As a little preview, and a little treat for those without tickets to the sold-out show, David Fair hosted WWDTM host Peter Sagal on-air this morning. Hear the conversation below.